Nucleation simulation of ice using a ML-BOP model. Molecular dynamics simulation snapshot at 230 ns shows various stages of grain growth and grain boundary during post-nucleation. Blue, brown and green spheres = cubic, hexagonal and amorphous ice, resp. (liquid water omitted for clarity). A machine-learning (ML) workflow was developed to introduce a set of coarse grained water models that accurately describes thermodynamics and dynamical transformations of water at the mesoscale. Accurately modeling the phenomena of phase transformations of water, as it moves from ice nucleation at the nanoscopic scale to consolidation into larger grains at the mesoscopic scale, has been a computationally expensive and complex task. Although computational atomistic and coarse-grained models of thermodynamic and transport properties of ice water systems exist, they lack accuracy or computational efficiency or both. Here a machine learning strategy is introduced that can train models on the behavior of ice and liquid water at mesoscopic scales. The set of models are two orders of magnitude cheaper than the most accurate non-polarizable atomistic models of comparable accuracy. These new models adequately describe the thermodynamic and dynamical properties of water and confirm the machine learning (ML) strategy presented here can re-optimize and improve the performance of existing high-quality water models. 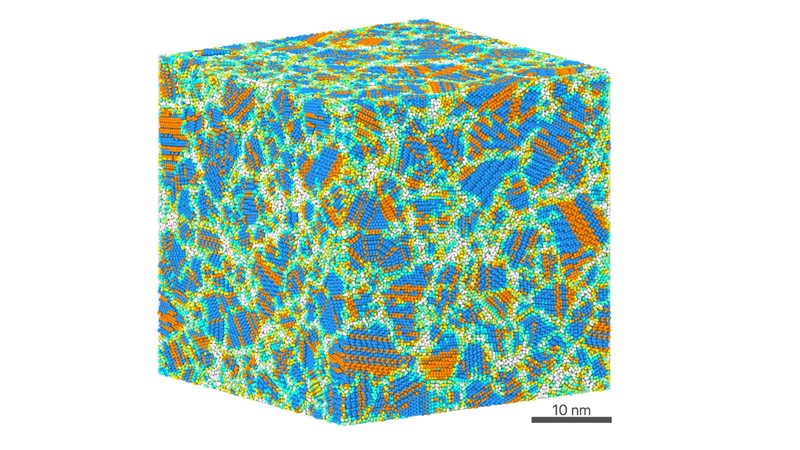 Proof-of-principle is provided by using the newly developed coarse-grained models (ML BOP and ML-BOPdih) to perform water simulations and elucidate the mesoscale mechanism of ice grain formation and growth from supercooled water. The accuracy of new ML models exceeds existing water models at a computational cost two to six orders of magnitude lower, fulfilling a need for accuracy at modest computational cost. Use of these models may find applications in such areas as phase transitions, homogeneous and heterogeneous nucleation, interfacial properties, co-existent regimes, and mechanical behavior. The ML workflow uses a multilevel evolutionary approach and a training data set derived from the best available atomistic model supplemented by experimental data. This work used the high-performance computing resources of the Carbon Cluster at CNM, ALCF, Fusion at Argonne’s Laboratory Computing Resource Center, and NERSC.